Hello. I’m Mark, Copywriter Collective’s go-to New York copywriter. I’ve lived in New York for over 20 years, so I guess you could say I know this amazing city pretty damn well. Along the way, I’ve been fortunate to work at some of the best agencies in the US, including Carmichael Lynch, BBH, BBDO and many others. My work tends to fall in the “thoughtful” category partly because that’s my predisposition but also because I feel many brands today haven’t dug deep enough to reveal their truths. Like Mr. Wolf in Pulp Fiction, I’m known for getting right down to it and finding solutions that are unique and effective. I enjoy collaborating with smart clients who want to do interesting work, attract brand advocates, and grow market share. You can view samples of my work here, or view case studies below. My hourly rate is US$175 p/h. Send me your brief and let’s talk. Part of the hand-picked team of copywriters here at Copywriter Collective, Mark, our New York copywriter, is here to help you smooth out your tone of voice for an English-speaking audience. Whether you need targeted web copy, fresh content or a new tone of voice, we have it covered. And all written by an expert New York copywriter. Being in the heart of the Big Apple, Mark has had the opportunity to work with some amazing big brands. Of course, it’s not about how big the brand is, but how good the work is. And this is definitely where Mark succeeds. His clients include Mercedes-Benz, IKEA, Samsung, Bank of America, Cigna, Verizon, Target, and Guinness. Take a closer look at what he did for them and what some of these clients had to say. I love working on the beer and spirits category. This campaign for Guinness in America won a Gold Effie, among numerous other awards. Since 1759, the thick, creamy head of Guinness has bonded with even the stiffest of upper lips, providing no end of enjoyment for both the drinker and those gathered nearby. Vaseline in America found itself struggling to market its lotion to men. Drawing from personal experience, my partner and I realized that men are most selflessly receptive to change—and most in need of softer skin—when they become new dads. Our “New Man” campaign drew from this deep truth and played out across all media from New York to LA. With every new baby comes a New Man. A man who keeps his hands and skin soft for the ones he loves most. Vaseline for Men. Dries in 15 seconds for 24 hours of smooth skin. With many insurance companies based in New York and on the East Coast, I’ve had the opportunity to work on many of them. It was a pleasure helping Liberty Mutual stand out by amplifying their point of difference: their long history of pioneering safety research. Accidents are called accidents because they’re unpredictable. But that doesn’t mean we wait for them to happen before we act. That’s why we have emergency contractors ready to come to your home and make repairs anytime day or night. At Liberty Mutual, we’re always planning for the unthinkable. So when something does happen, you won’t have to fret about a thing. "I’ve worked with Mark on a variety of copywriting projects and he’s awesome. Mark always delivered on time and exceeded my expectations. A pleasure to work with." Along with my expertise as aNew York copywriter, I also have a strong editorial eye. This means I’m happy to pitch in and match my copy with the right photographer, director, or illustrator who can really make the visual content stand out. As a result, I’m able to collaborate on projects as a creative director as well as a copywriter. My experience in such a commercial-centric city as New York means I know the ins and outs of big brand platforms and how to create work that has universal appeal. The agencies I have worked for here have set a pretty high bar in the world of advertising, and, of course, I’m always striving to exceed that bar. In fact, I’ve even won some major industry awards along the way, including The One Show, Communication Arts, Effie, Cannes, Clio, London International, Addy and Hatch. What are my favorite kind of collaborations? Those with bold agencies and clients who put creativity first and aren’t afraid of a work hard/play hard mentality. It’s where the best ideas are usually born, and where some of my best work can be found. Our team of copywriters in New York City are as diverse as the city itself. There, among the skyscrapers where big agencies and big brands thrive, our Manhattan copywriters have learned and perfected their craft. Being a freelance copywriter and advertising copywriter in New York City has definitely taught them a few things about deadlines, late nights, and having a high level of energy. In a city where the subway runs all night and food (and pretty much anything else) can be delivered at any hour, our New York-based freelancers don’t bat an eye at last minute changes. Hey, it’s all part of the game, and they truly are ready for anything. Hand selected by us here at Copywriter Collective, we make sure we offer a diverse and talented team of New York copywriters. Mark is one of them, and he’s ready to offer expert copywriting services that include advertising copywriting, content writing, web copy, email copywriting, slogans, and much more. He offers copywriting in American English for your target audience, commercial market expertise, and, of course, a can-do attitude. The great thing about having an expert copywriter in New York for your company’s writing is that they are available to come right to your office—whether it’s in Midtown, SoHo, Dumbo, or Westchester. Our New York freelancers are also available to freelance online from their homes, giving an authentic local voice even if you are not based in New York. 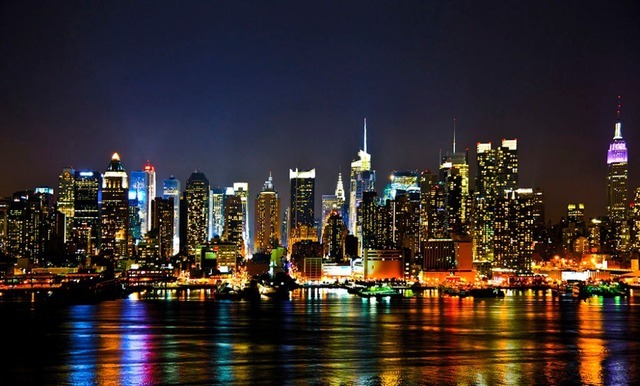 Like the city itself, our copywriters based in New York City offer expertise in a wide scope of mediums and industries. Hey, after all, if a brand can make it in New York City, they can make it anywhere. That’s why our New York freelance writers offer the finesse of big advertising, are specialized in writing copy for multiple industries (especially the top one’s like Finance, Beauty, Healthcare, Food and Drink, and Retail), and have insider knowledge of the American market. Not to mention, many of our copywriters based in New York know multiple languages, offering translation to and from English and plenty of other languages. Browse through our impressive collection of talent and copywriting portfolios, read our client case studies, and get in touch to discover even more. Copywriters with the right knowhow will create SEO-savvy content to help you get to the top of search engine rankings. Along with having great SEO knowledge, our copywriters have a full-proof understanding of international markets. For our international team, a local focus is what really matters. We can put you in touch with a marketing expert based right there in New York now. Whether you fancy meeting them face-to-fact, or over Skype, we can work with you and take it from there, chatting though your brand’s communication needs. Get in touch for an introduction to our local New York team now. Or, browse our network of New York copywriters to see who fits your project best.